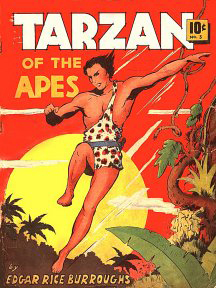 Tarzan is a ® Trademark of Edgar Rice Burroughs, Inc. 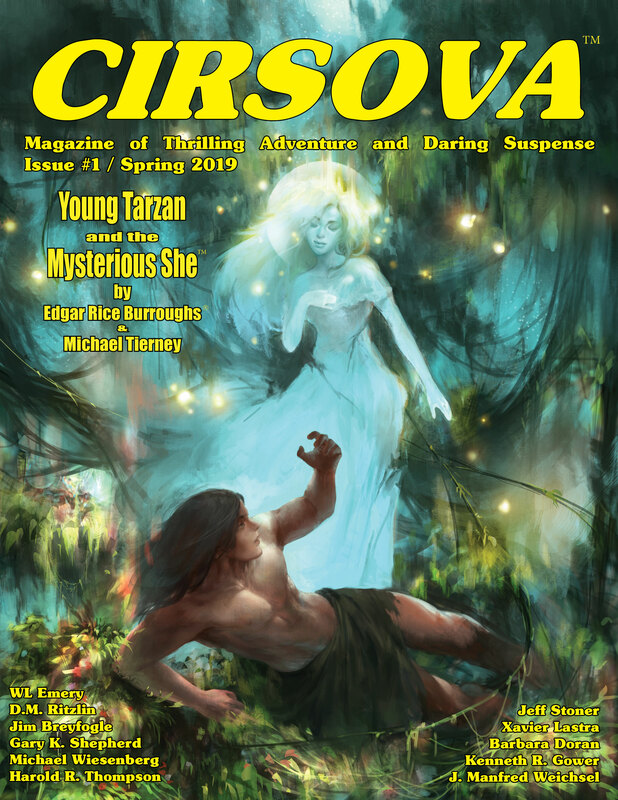 The cover for Young Tarzan and the Mysterous She is © Copyright 2019 Edgar Rice Burroughs, Inc. 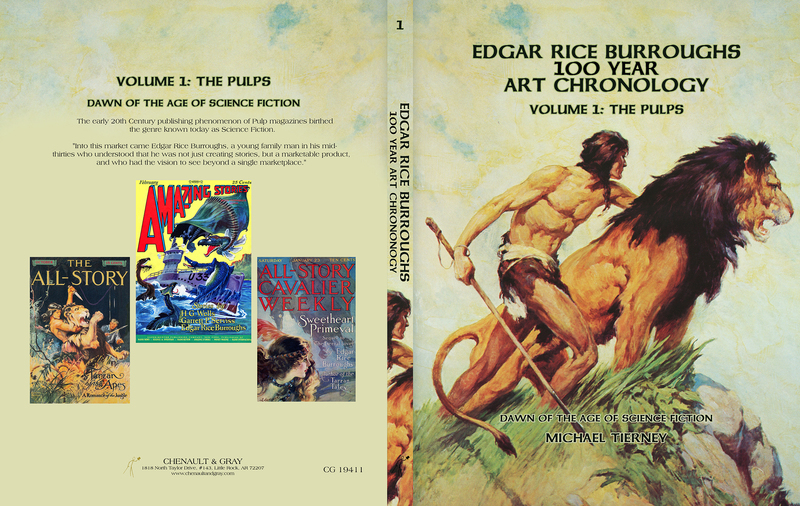 The covers for the Edgar Rice Burroughs 100 Year Art Chronology are © Copyright 2018 Edgar Rice Burroughs, inc.
"It is not apparent where the fragment ends or which are the new part(s) added by Mr. Tierney. 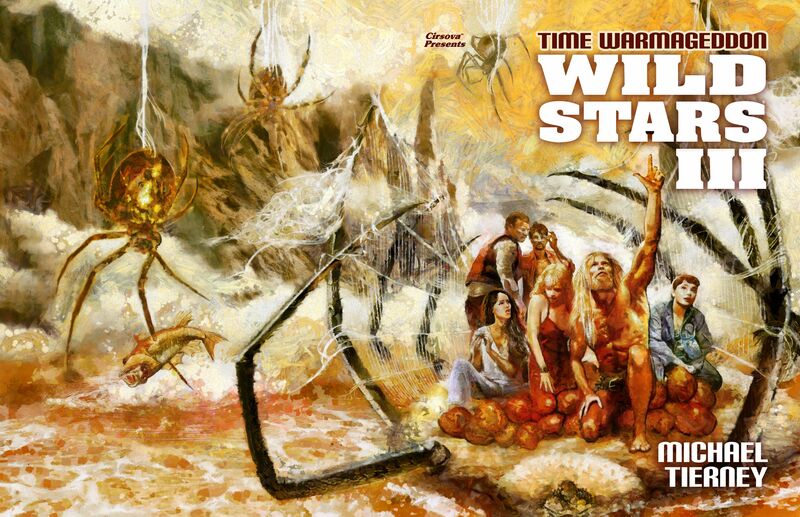 This brought me back through a couple of decades and dropped me right back into the jungle. Such a feeling of deja vu - Michael handled completing this lost tale perfectly. Michael's writing complements Burroughs so well, it's hard to define where one drops off and the other picks up. 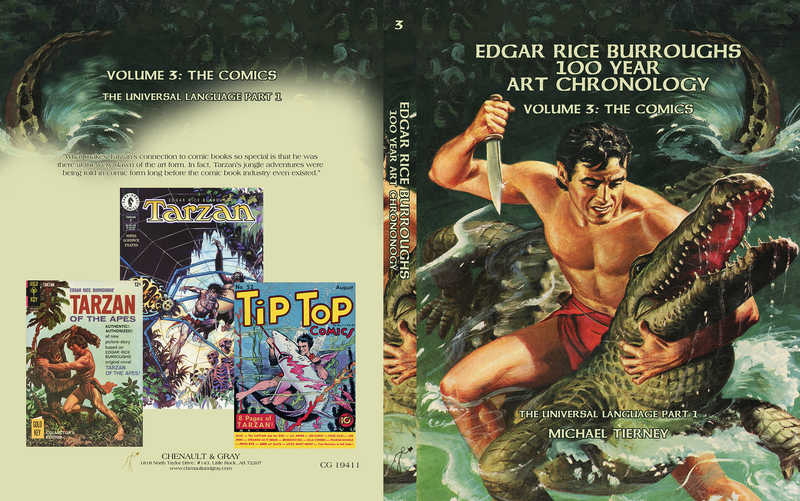 Truly something any Burroughs or Tarzan fan needs in their collection." "I feel like I'm there (in the jungle) and that it's real (Tarzan and the Mangani seemed real). complete immersion in an exciting and strange world. I was trying a little to distinguish between what (Michael Tierney) wrote as opposed to ERB's fragment writing. A week later I find out that I was right about some parts but wrong about others. 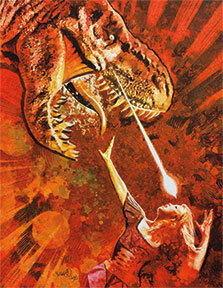 Now I plan to pick up something Michael Tierney has written solo." "The most interesting aspect of the story is the way it delves into Tarzan's psychology." 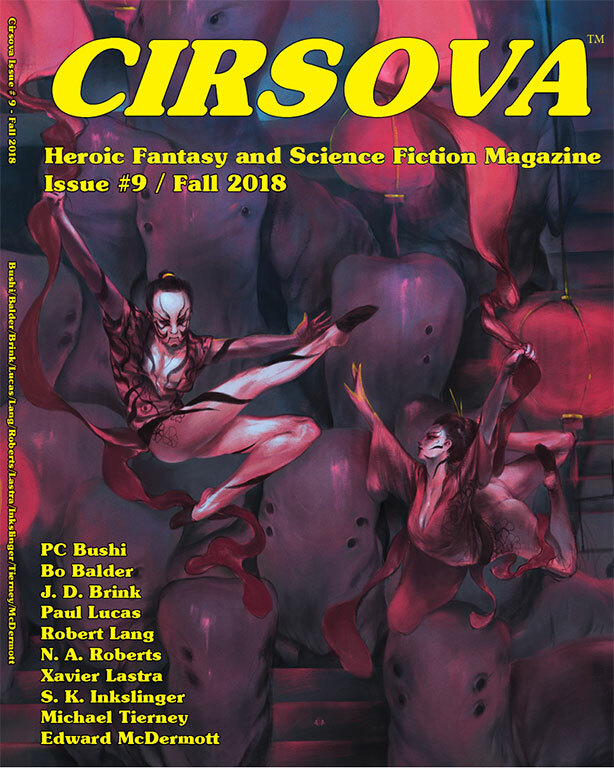 "...the cover art for this issue is beautiful." 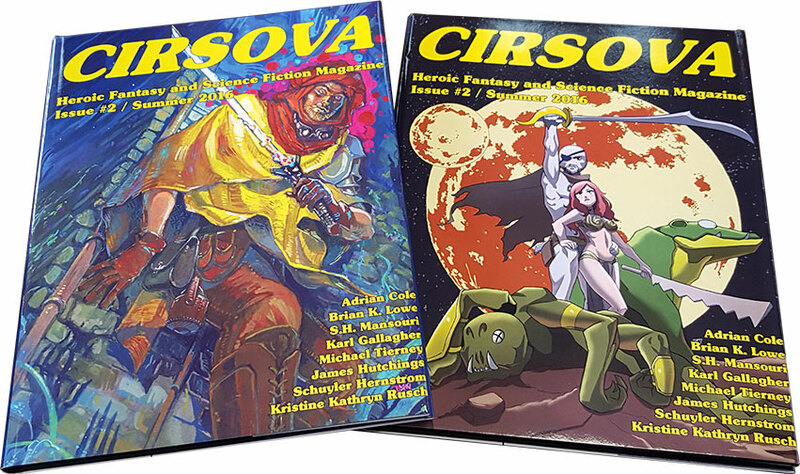 Digital copies and the paperback version of Cirsova Vol. 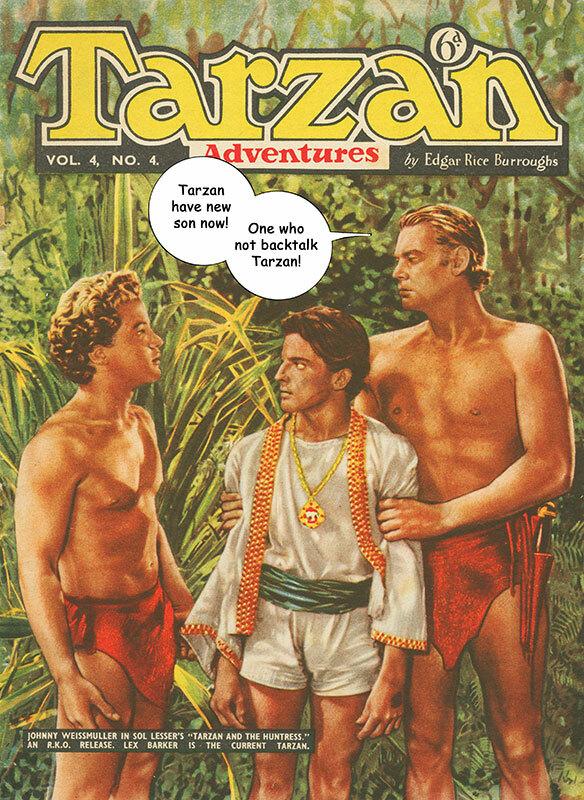 2 #1 containing Young Tarzan is now available for $9.95 on Amazon.com! The hardcover is availble for $30 on Lulu.com. 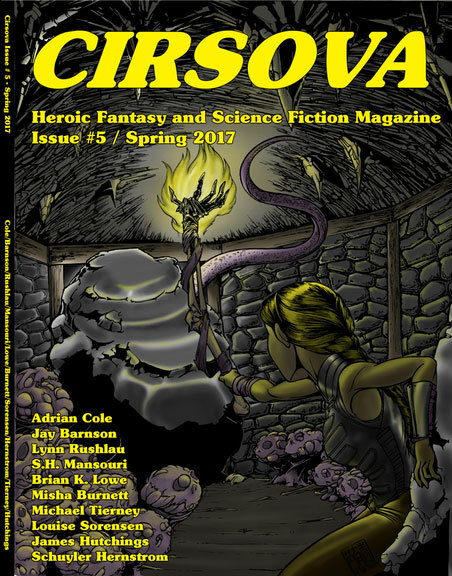 Digital and print copies are also available at Barnes & Noble. 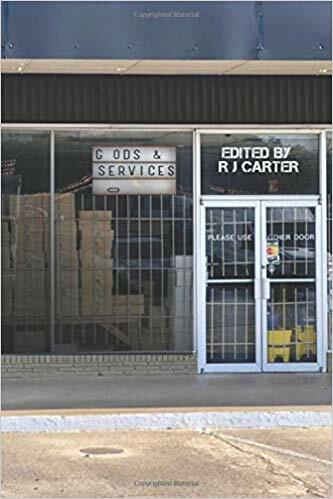 Collector's Edition in North Little Rock and The Comic Book Store in Little Rock, Arkansas also have both the hardcovers and paperback editions in stock! In fact, one of the two authors of Young Tarzan is almost always available to do free signings at one store or the other. You can probably guess which of the two. I intentionally didn't say a lot about the setting of Young Tarzan and the Mysterious She until others had a chance to read it for themselves. 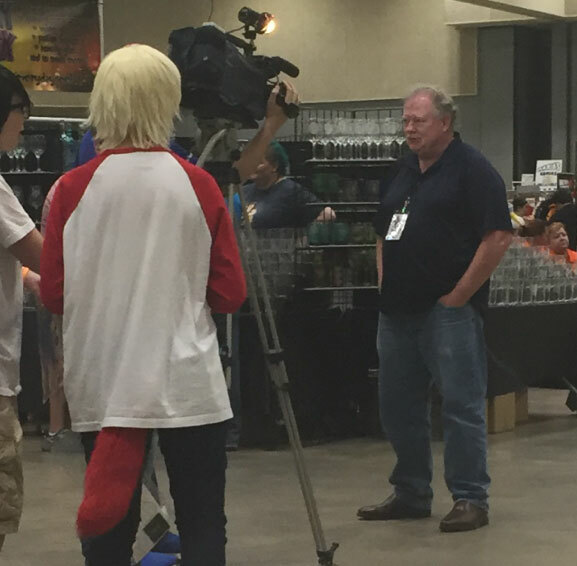 Wanted them to experience it with a fresh perspective and no sense of precognition. Plus, to say too much would give away a surprise element of the plot. Young Tarzan had been getting all 5-Star reviews on Amazon until today, when a negative review didn't feel that the story has a place within canon. So now it's time to explain the placement of Young Tarzan. 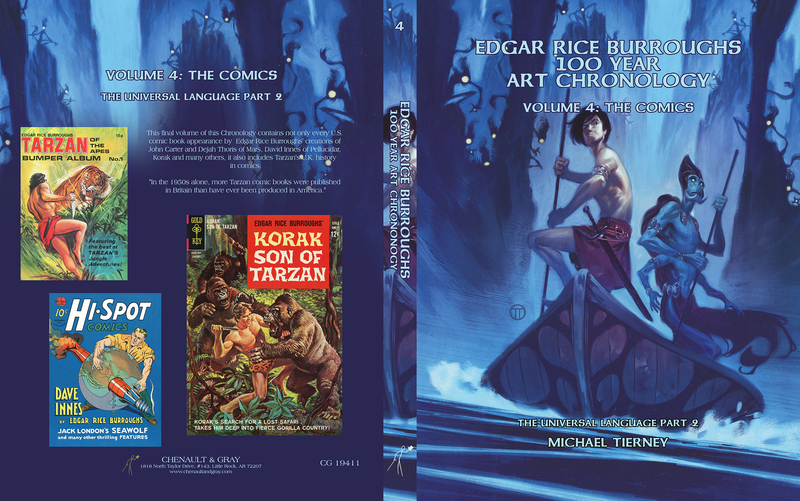 As the 3-star reviewer who has previously seen the fragment mentions, in ERB's section the mangani (apes) discuss the gomangani (natives) and their blond white captive, with Tarzan's ape mother Kala a part of the conversation. He speculates that maybe Burroughs felt this was an error to write and then abandoned the story--implying that it should never have been finished. Going back to Tarzan of the Apes, ERB stated that the gomangani village had been around for several months prior to Kala's death, and I worked within this time frame. There was another statement about apes having never seen a native, but it didn't say that every ape in the tribe had never seen them. As far as Kulongo being the first native that Tarzan had seen, that could have been interpreted as the first he had seen up close. So it's a tight window, but there is wiggle room for interpretation. As far as Tarzan having never seen a white woman before Jane, apparently the 3-Star reviewer didn't finish reading the story, because Young Tarzan does not contradict this. But to say that gives away a plotline of the story--which is why I've been quiet until now. 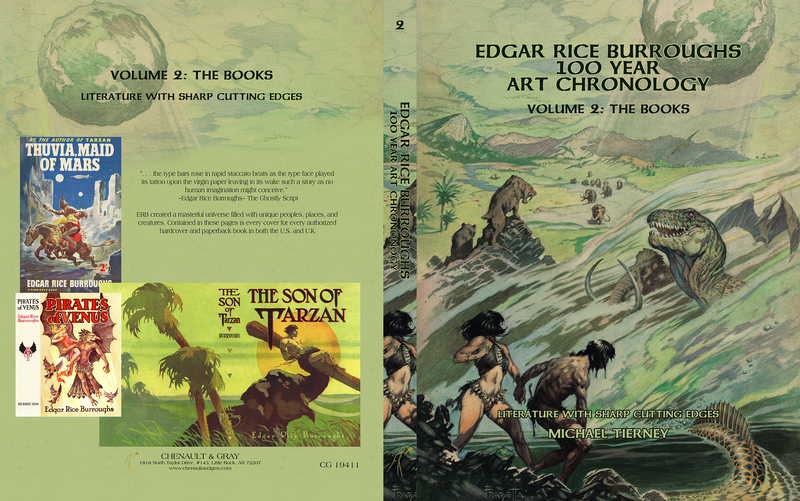 Concerning why ERB abandoned the story, I'd speculate that it had more to do with Blue Book editor Edwin Balmer, who purchased ERB's previous Jungle Tales a decade before, suddenly leaving to edit Red Book the same year Young Tarzan was written. 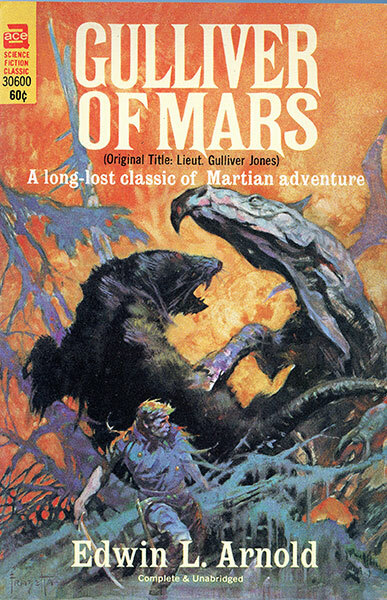 New editors meant different tastes and agendas, and while new Blue Book editor Donald Kennicott would turn out to be a big ERB fan, perhaps he preferred his novels. He certainly bought a lot of them! 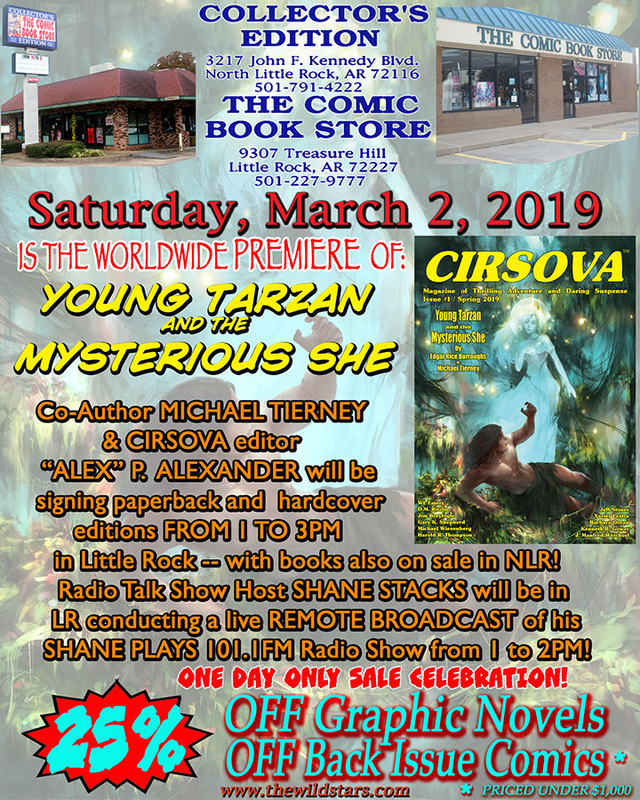 On March 2nd, 2019, an Early Release of Young Tarzan and the Myserious She was held at The Comic Book Store in Little Rock, Arkansas. 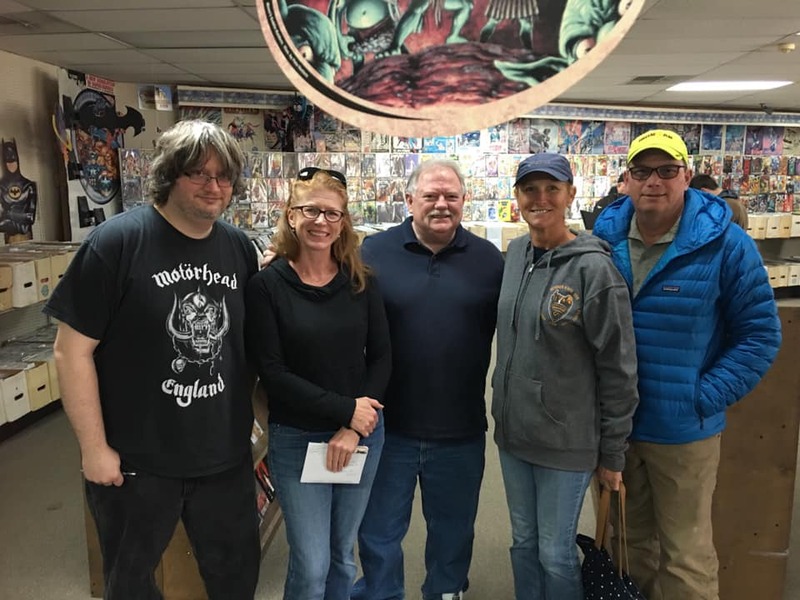 Editor "Alex" P. Alexander (far left in the picture below) was on hand, signing copies along with co-author Michael Tierney (in the center with the Olsen family below). Talk show host Shane Stacks of Shane Plays Geek Talk on 101.1 FM radio did a live remote show during the signing. Great fun was had by all, and the hardcover editions quickly sold out! Thanks to everyone for making this event one of the most successful signings that The Comic Book Store has ever hosted! 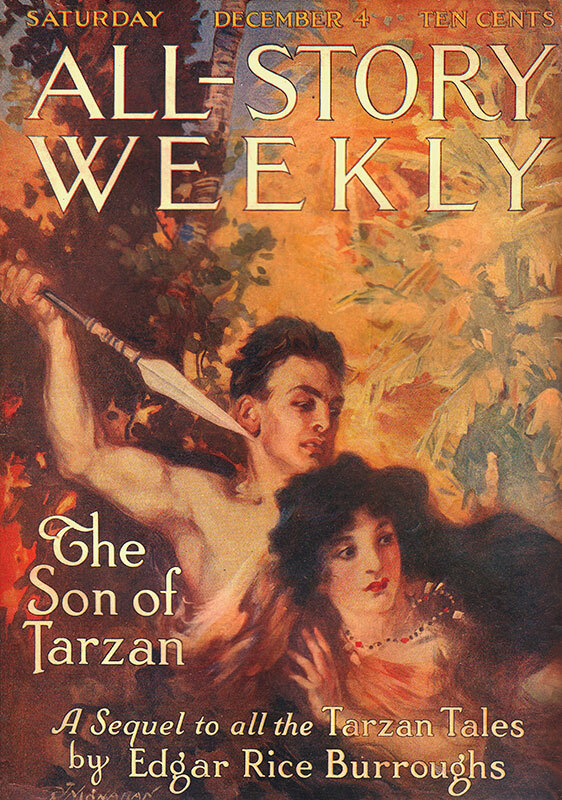 An article about Young Tarzan and the Mysterious She was published on Hollywood In Toto. Click this link, or the image below to read it. It's an old question of: Who you would visit from the past if you could? Take that question a step further and ask if you could collaborate with literary giants on their greatest creation, who and what would it be? 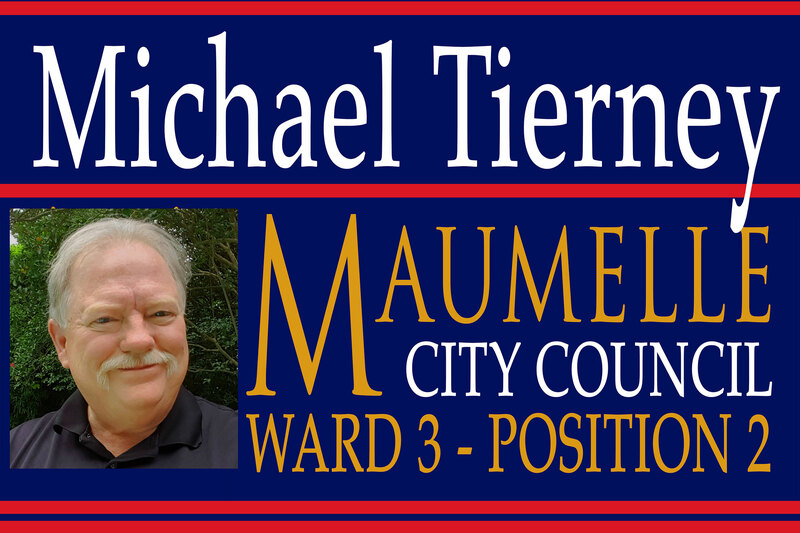 Here's Michael Tierney's answer: Young Tarzan and the Mysterious She. 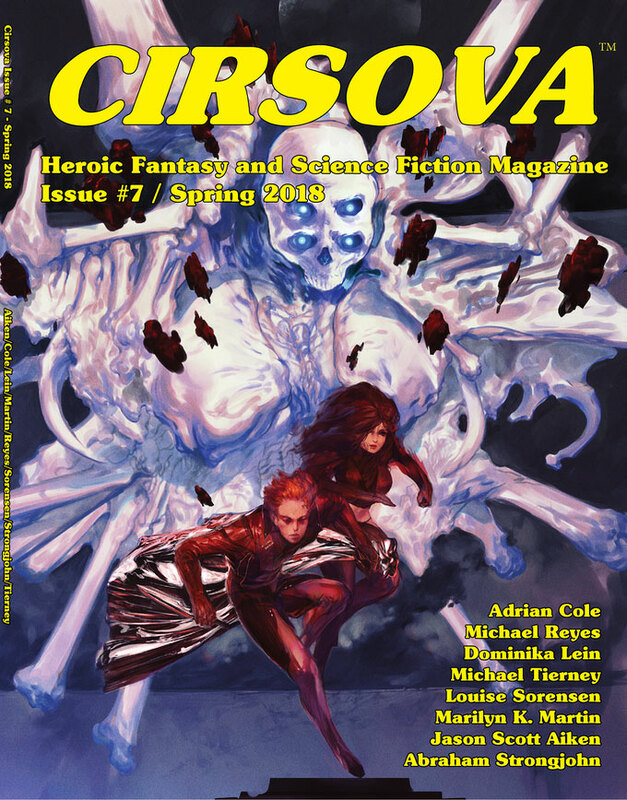 Releases March 2019 in Cirsova Magazine of Thrilling Adventure and Daring Suspense. 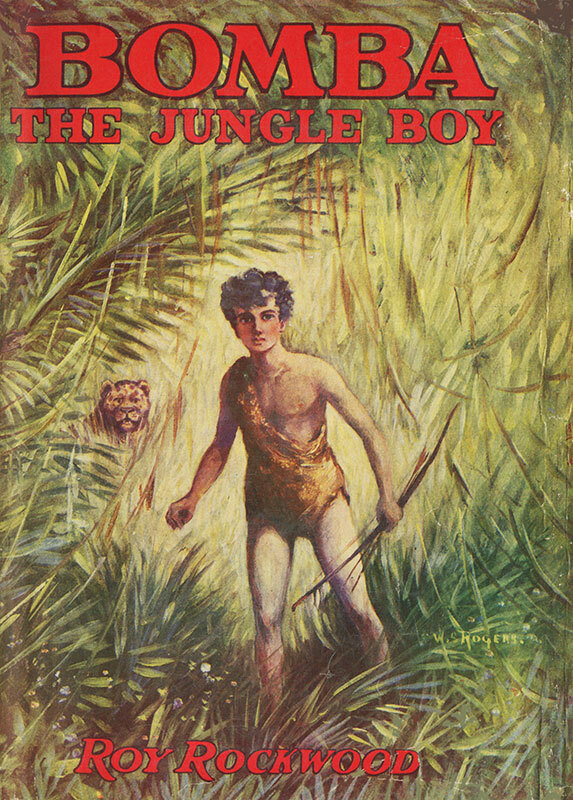 The Young Tarzan fragment was first hand-written and partly typed by Edgar Rice Burroughs in 1930. It was left unfinished and, after his death in 1950, lay hidden until it was rediscovered in the early 1960s, along with many other "treasures in the safe." 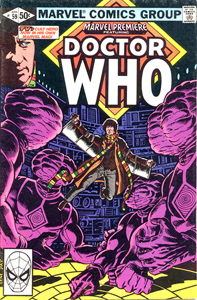 Many well-known writers were offered the chance to complete the story, but there were elements that they considered problematic, and they passed. In 2005, ERB's grandson, Danton Burroughs, offered me the chance. I found the problems to be opportunities to explain what I considered to be inconsistencies in the jungle lord's established history. But on the day of Danton's greatest accomplishment, when he became President of his grandfather's company, Edgar Rice Burroughs Inc., there was a fire that destroyed many of his father, John Coleman Burroughs' paintings--some of them lost forever without a record. Danton tragically died that night of a heart attack. What I didn't learn until recently was that the fire left ERB, Inc. with no record of the story. Danton took his knowledge with him, and the fragment was essentailly lost to the company his Grandfather founded. Fortunately, I still had my digital files, and the original fragment was discovered after the annoucnement of this publication. 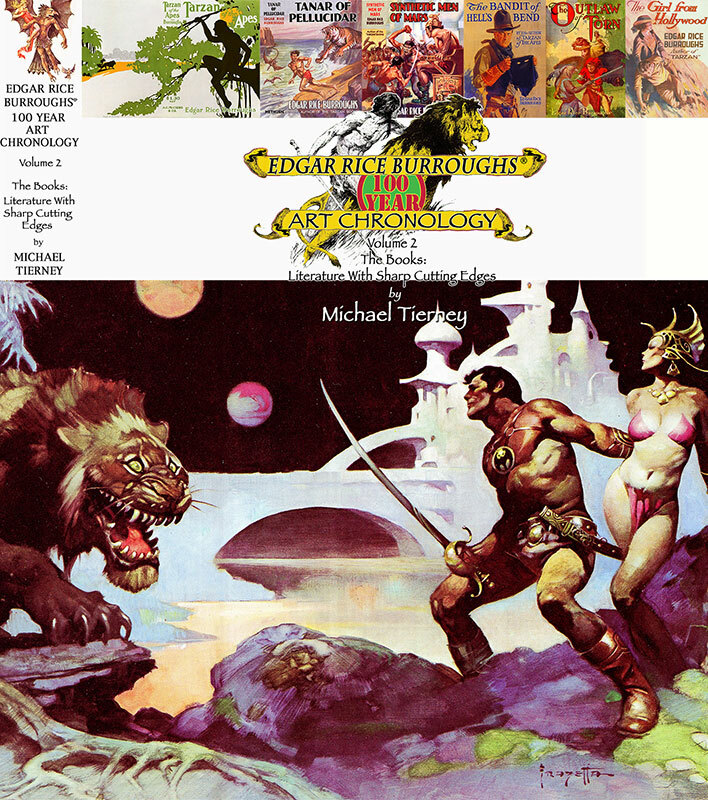 While I was creating the Edgar Rice Burroughs 100 Year Art Chronology, I'd asked current President Jim Sullos for an opportunity to do something with the story. What I didn't realize until recently was that he thought this was all my creation. We didn't both put all the pieces together until just a few weeks ago. That's the story behind the story of Young Tarzan and the Mysterious She. 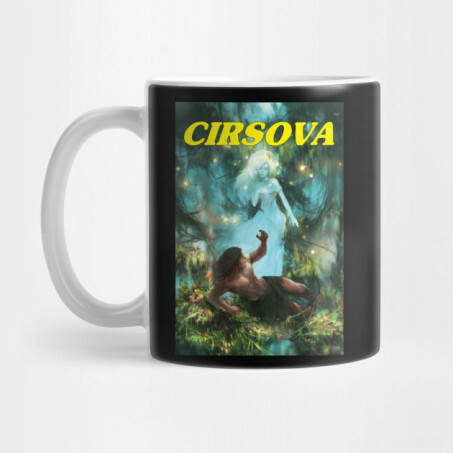 For the Burroughs fan who has to have everything, click on the image above to access the Cirsova offering of a coffee mug imprinted with the cover for Young Tarzan and the Mysteriuos She. A horror humor tale with a double twist ending. The second twist will be evident mostly to comic book fans. 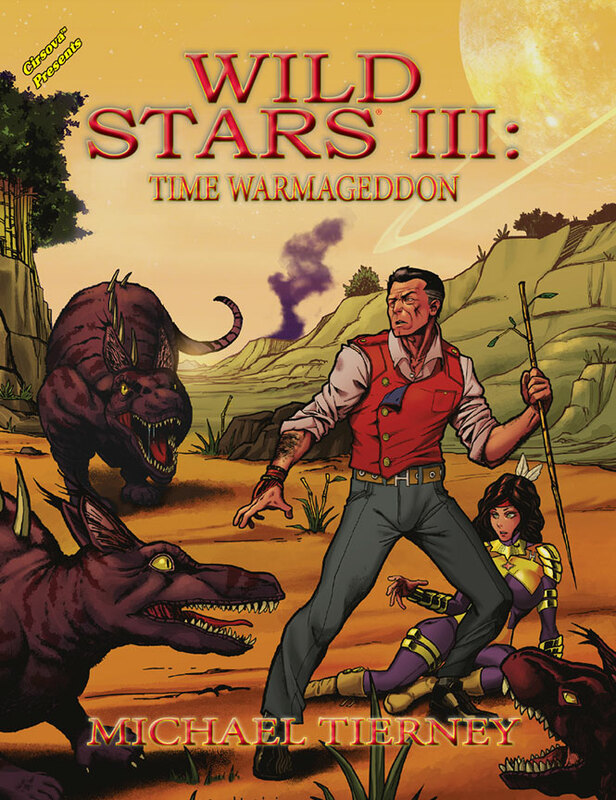 The third novel in the Wild Stars series. 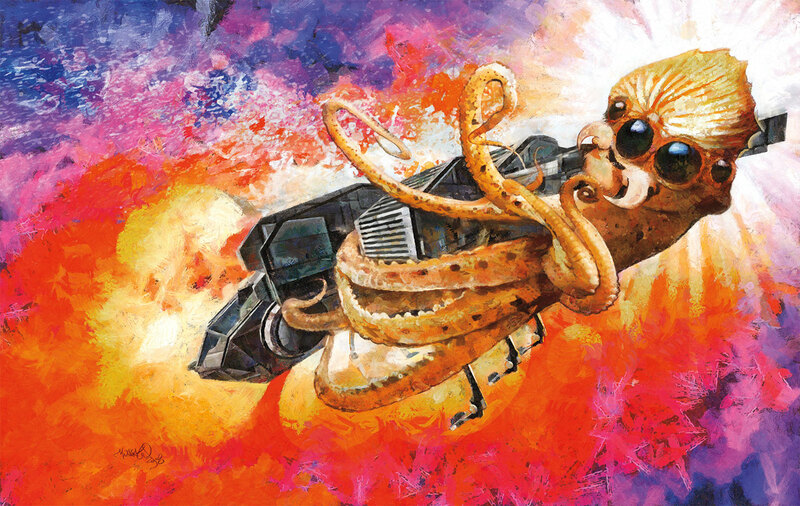 Shark Fighter is a tale of horror beneath the deep blue sea, see if you can guess the Wild Stars connection. It's tenuous, but it is there. 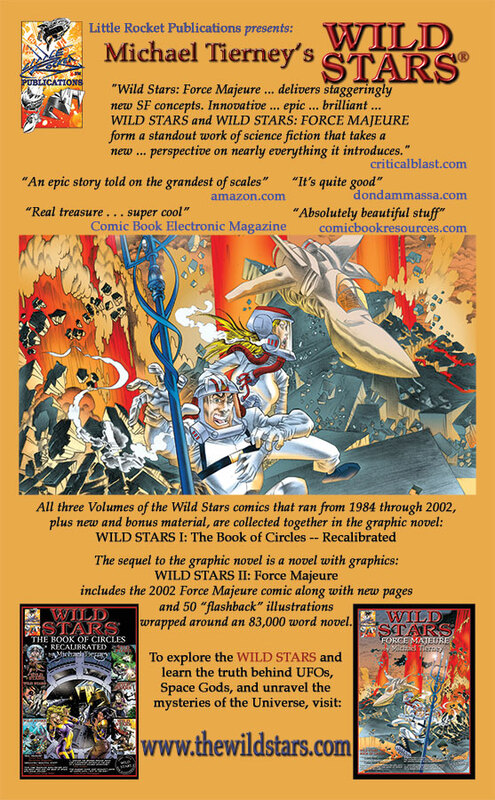 and has since added new novels and a graphic novel to the expansive space opera that is Wild Stars!